Unite is calling for all HS2 workers to be directly employed and an end to using payroll and umbrella companies on the project. 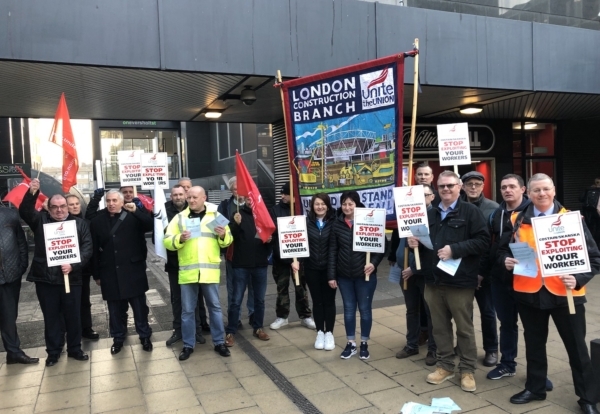 The union staged a demonstration yesterday outside the headquarters of Costain-Skanska Joint Venture (CSjv), who are currently carrying out the southern area enabling works for HS2. 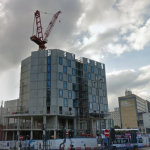 Unite want to see CSjv employ workers directly rather than through agencies like Bowercross Construction Limited who supply labour on the job. National officer for construction Jerry Swain said: “HS2 is one of the most high profile construction projects in the UK and there is an agreement between the unions and HS2 that outlaws these types of practices. Unite said it will now be extending its campaign across all of HS2’s sites. An HS2 Ltd spokesperson said: “We have an agreement with the TUC demonstrating our commitment to working with the trade unions. A CSjv spokesperson said: “Bowercross Construction Limited (BCL), is one of the CSjv’s approved suppliers, who provide labour to some of our sites on the High Speed Two enabling works programme. “All BCL workers on our programme are paid via PAYE and receive full employment rights, which include a minimum of the London Living Wage, EU holiday and sick pay and welfare benefits.